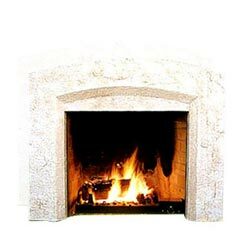 The existence of a fireplace adds to the warmth of home. 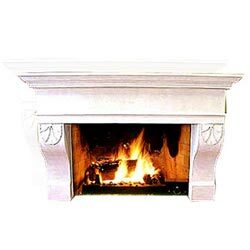 We have a series of fireplaces with mantles and shelves in different patterns. 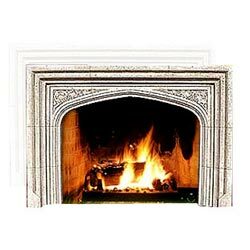 Our fireplaces are art pieces that can be installed in the living rooms. They are available in different stones and hues. 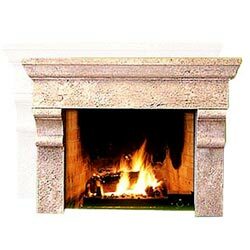 Beautifully crafted Fireplace to add to the simplicity of your room. Dimension : H-10' W-75" D-6"
Decorated Firefront. Fix a mirror/painting in front to enhance the beauty and elegance. 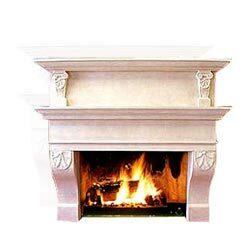 A two-storey Fireplace for placing decorative items on top. 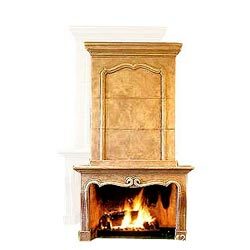 Dimension : H-54" x W - 76" x D-12"
Intricately designed Firefront with royal looks. 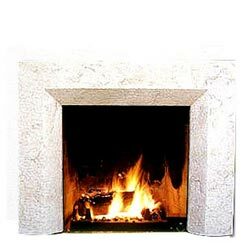 The most simple fireplace for the most simple interior design. 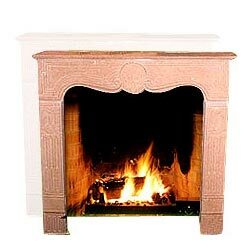 Crafted fireplace to add a royal touch to your room. Crafted Firefront to add to the simplicity of your room. Simple Fire fronts with natural surface to match your exterior. 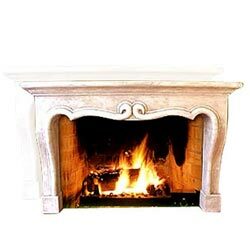 Dimension : 48" x 48"
The intricately carved Fireplace reflects the excellence of craftsmanship.